There comes a time when a seismic shift is felt throughout a genre, where the metaphorical passing of the torch happens and the new blood begin to grow into their own. 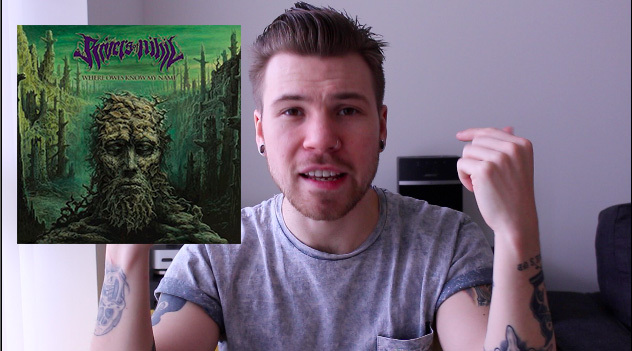 Understanding how to use not only Death Metal as a genre but incorporating a plethora of subgenres, Rivers of Nihil have created their best record and simultaneously one of the best in the last five years in Death Metal, Where Owls Know My Name. From the moment that “Cancer / Moonspeak” s melancholic keys open the record, its a gateway into a vast and limitless soundscape from the Miles Davis come Industrial crunch of “Terrestria III” to the all out Prog madness that is “Subtle Change“. Neatly positioned in the world of Death Metal, from here on out, Rivers of Nihil have proven that there is no set make up to the rules and that an eclectic nature is something that a group should thrive off. Rivers of Nihil have begun to re-write the rule book. Watch my video review below if you don’t believe me. You can pick up Rivers of Nihil’s brand new album right here before its March 16th release via Metal Blade.